Signatures are kept in the same folder regardless of the Profile used, you just have to reactivate them through the following steps. 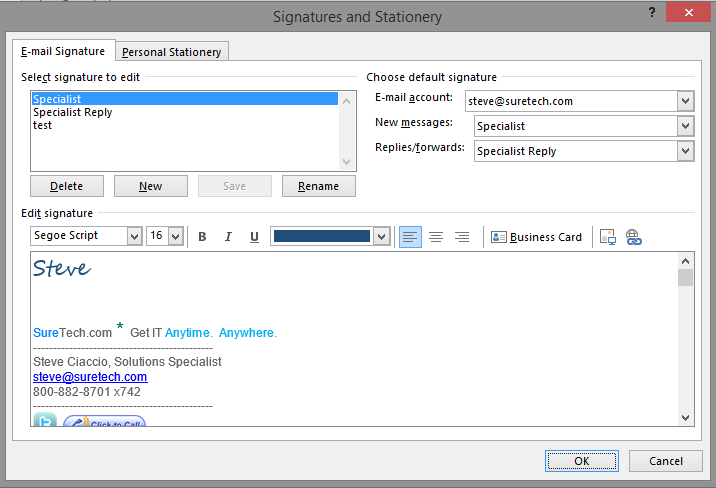 And select the signatures you would like to activate for the "new email" and for "replies and forwards". Next close the selection and discard the unused email. When you create a new email and your signature will now appear.